Elisabeth-Gateff-Prize 2008 - gfgenetik1s Jimdo-Page! 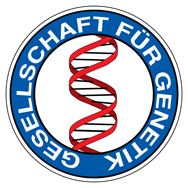 1998–2002 BSc (Vordiplom) Biochemistry at the University of Potsdam. 2002–2004 MSc (Diplom) Biochemistry at the University of Hannover. 2004–2007 Wolf-Dieter Schubert and Dirk Heinz at the Helmholtz-Centre for Infection Research, Braunschweig.